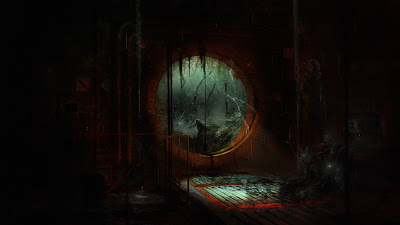 SOMA, our upcoming sci-fi horror game, will be released on the 22nd September this fall on PS4 and PC. 1) When the video starts we are about 1 hour into the game. 2) The protagonist is not an amnesiac. He has an established past, knows who he is, but isn't at all sure about the situation he's in. 3) There are lots more things to explore in this level than what's shown in the video. For instance, you can avoid the robot attack completely by acting differently. That's it for now! We hope you like the footage and we're looking forward hearing what you think about the game after release!